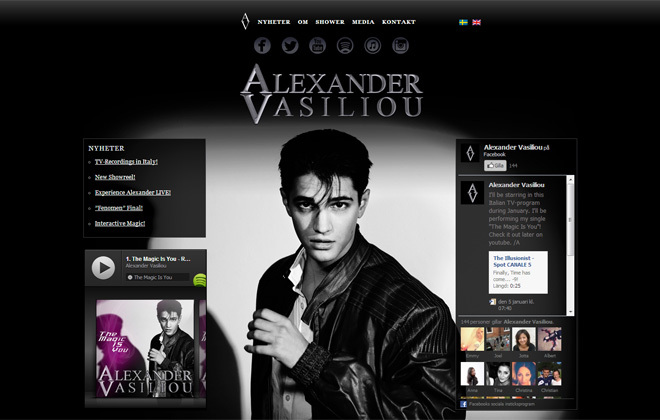 A talented Swedish illusionist by the name of Alexander Vasiliou needed a new web site. At the top is the main navigation and below a row of social icons. The front page has a list of news and a Spotify integration to the left, and a Facebook social feed to the right. English and Swedish is provided using the qtranslate plugin. The Nimble Portfolio plugin was used for creating the gallery page. See the magic at magicmaster.se.